Chamilia presents this beautiful pendant necklace inspired by the iconic Disney character Tinker Bell. Crafted from shining sterling silver, this gorgeous necklace features an intricately detailed Tinker Bell pendant holding a heart studded with Swarovski crystals, perfect for any Disney fan. Discover all the ways to express yourself with Chamilia. Chamilia jewellery is as unique as you are! 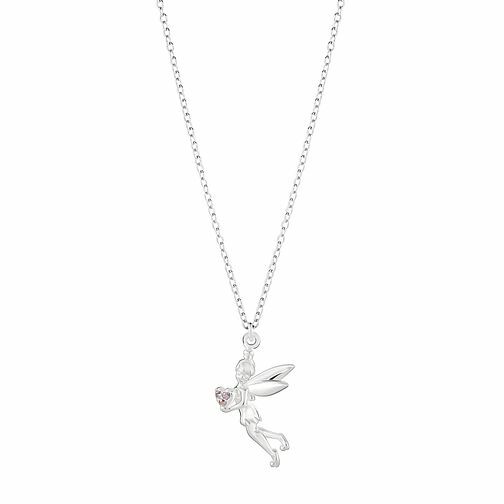 Chamilia Disney Tinker Bell Lovely Necklace is rated 4.5 out of 5 by 2. Rated 5 out of 5 by Anonymous from Very pretty - a bit small I was very happy with website & delivery service - the item bought was quite expensive and small but definitely well received.